If you are living in Malaysia, you should be quite familiar with Unifi, the premier high-speed broadband service under Telekom Malaysia Berhad (TM). This new year, Unifi has unveils its refreshed brand look and feel, welcoming a new era in connectivity, anchored towards Accelerating Convergence and Empowering Digital. 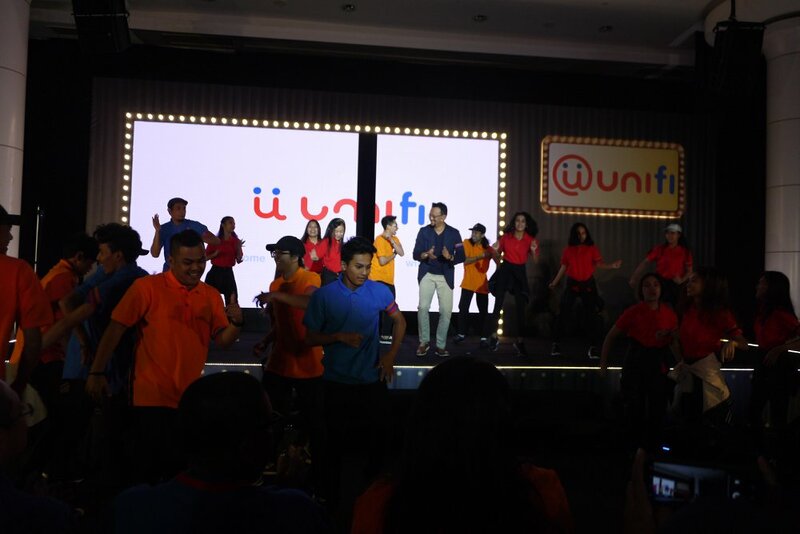 We were honoured to witness the launch of unifi’s latest look and offerings from home, wifi, mobile and TV not long ago. This is following the announcement of its rebranded unifi mobile (formerly known as webe) in November 2017 and its award-winning TV and video streaming service, HyppTV, to unifi TV on 12th January 2018. The grand launch of the refreshed unifi look and offerings was graced by Dato’ Sri Mohammed Shazalli Ramly, Managing Director / Group Chief Executive Officer, TM and Datuk Bazlan Osman, Executive Director / Deputy Group Chief Executive Officer, TM; together with Imri Mokhtar, Executive Vice President, unifi; Jeremy Kung, Executive Vice President, unifi TV; Moharmustaqeem Mohammed, Chief Executive Officer, unifi mobile as well as TM’s senior management. It was indeed a welcoming and happening launch event among all the others that we have attended before. “This is the first roll out of the year of our various initiatives - with the refreshed look of unifi home’s “Perfect Squad”, unifi mobile’s first ever mobile liberation “#BEBAS” and unifi TV’s innovative Live Interactive gameshow “Teka Tekan”, promising RM20,000 daily cash prizes to viewers. As we move forward into the year, we will continue working towards enriching more of our customers’ moments. A multitude of exciting initiatives have been planned for this year. So our customers can really look forward to more experiences in perfect oneness, only with unifi,” he added. Today, unifi is introducing “The unifi Perfect Squad” a.k.a. ‘Skuad Sempurna unifi’ #pasangsekarang (#installnow). This is in continuation of its Year End Promotion campaign that extended our reach to areas where there are still plenty of available unifi ports around the country. The ‘Skuad Sempurna unifi’ is activated to engage with households within the optimum radius of the ports to enjoy various special packages such as unifi Advance from only RM139 per month. The squad will be making rounds at these potential areas to sign up new customers and setting up appointments for our installers to come and complete service activation. The packages also come with an array of unifi TV pack choices, devices and call plans. For more information on unifi, log on to www.unifi.com.my or visit unifi social media pages at www.facebook.com/weareunifi (formerly Everyone Connects), www.twitter.com/unifi (formerly @TMCorp) and www.twitter.com/HelpMeunifi (formerly @TMConnects), and unifi.com.my/youtube. 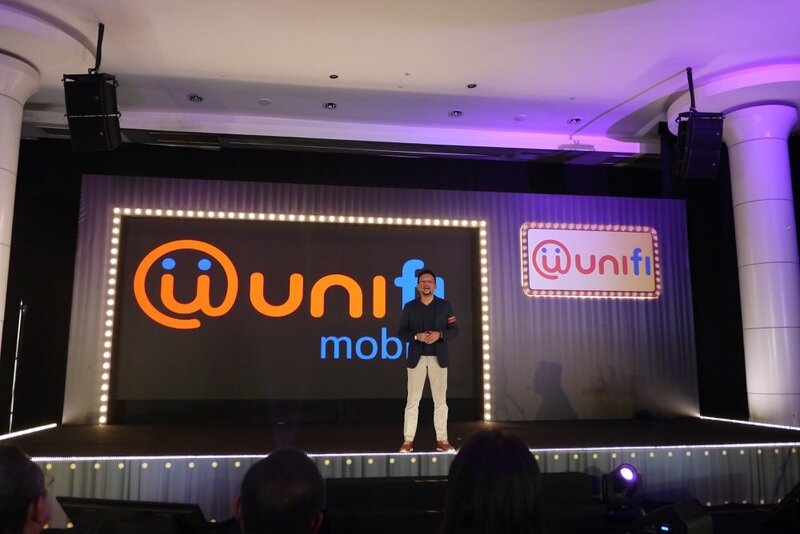 unifi mobile (formerly known as webe) has continued to show an encouraging performances ever since the launch of its no data-quota plan in 2016. 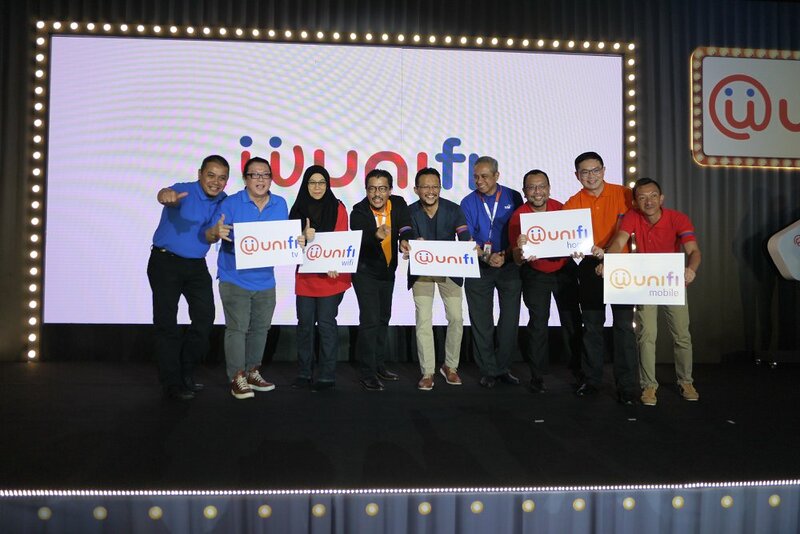 This fully digital service will create another breakthrough in the country’s telecommunications industry with the introduction of new unifi mobile #BEBAS - the very first product that liberates what customers would expect from a mobile product. 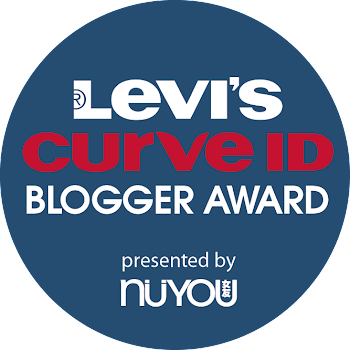 It is neither a prepaid or post-paid product, but instead a hybrid that enables customers the freedom to select their very own preferred data needs and usage requirements without any contracts and commitments. The new unifi mobile #BEBAS boasts #anythingiwant #paywhenever #noexpiry (#pilihapasaja #bayarbilabila #kredittakmati); all within its newly unveiled mobile app, mobile@unifi. 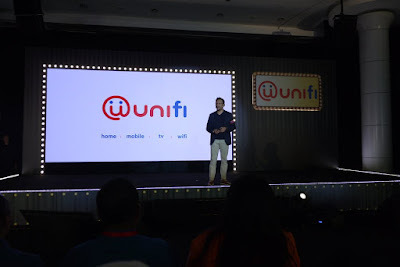 Breaking the norm of conventional mobile and fully on digital, the new unifi mobile #BEBAS allows consumers to enjoy uninterrupted connectivity on-the-go. To mark the launch of the new unifi mobile #BEBAS, unifi will be giving away 1 million complimentary 20GB SIM cards for all Malaysians! Customers just need to download the mobile@unifi app available on AppStore or PlayStore, and place their order. Upon registration, customers may collect their SIM cards at any TMpoint outlets nationwide or opt for delivery to their doorstep for only RM10.60 (inclusive of GST). For more information on unifi mobile, visit www.unifi.com.my/mobile or unifi mobile social media page at www.facebook.com/unifiMobile. 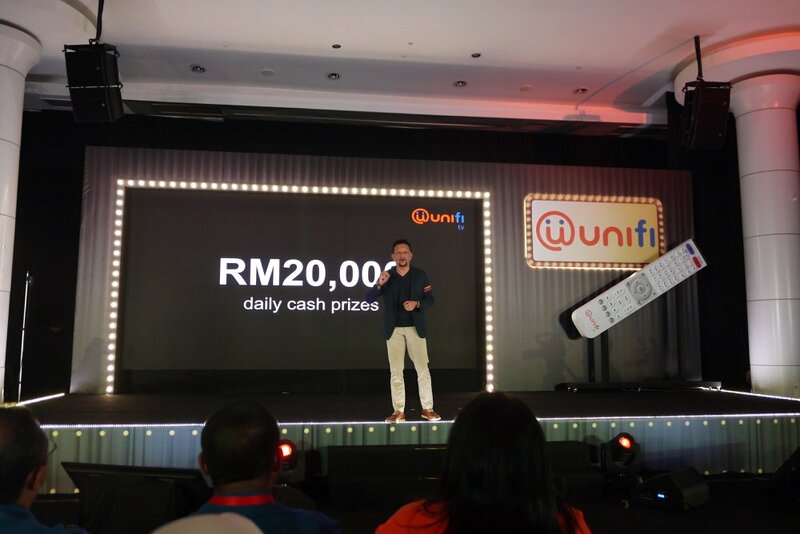 Staying true to its promise to come out with more interactive and innovative offerings, the newly rebranded unifi TV (formerly known as HyppTV) has launched Malaysia’s first-of-its-kind LIVE interactive gameshow called Teka Tekan, which allows viewers to engage with the show from the comfort of their homes and stand a chance to win RM20,000 cash prize daily. You could find more information on Teka Tekan on my previous blogpost. In conjunction with Teka Tekan’s inaugural airing, HyppSensasi HD is also offering FREE viewing in order for all their viewers to participate in the amazing game show, and to also enjoy other local entertainment programmes exclusively available on the channel. Besides the newly rebranded unifi TV, the mobile app HyppTV Everywhere is also now known as unifi PlayTV. With this, customers can continue to enjoy world-class entertainment and award winning shows through its value for money channel packages in full HD from either Live TV, Video On Demand or Interactive channels offering while enjoying the service uninterrupted regardless of any weather. For more info on unifi TV, log on to www.unifi.com.my/tv and visit unifi TV social media page at www.facebook.com/unifiTV (Facebook). TM serves its customers with relevant convergence propositions via the 5 pillars of Smarter Living, Smarter Businesses, Smarter Cities, Smarter Communities and a Smarter Nation - delivering a seamless digital experience and integrated business solutions to cater to individual lifestyle and business communication needs - towards making “Life Easier”. wah bagusnya ada the unifi perfect squad ni... nanti senang kat rumah boleh dpt wifi laju. sebab ada setengah wifi lambat and kalau duduk kat dapur dh tak dapat. Event ni sangat happening kan.. siap ada sorakan dan tiupan wisel.. hehe.. Wajah baru Unifi memang terbaik la..
Wah, great achievement and contribution unifi. Keep it up! Pening tau semua guna nama unifi. Nak beza payah. Btw, i kerja dengan dorang ni. Stress melayan pasal UnifiTV ni. Btw, satu lonjakan baru dari pihak TM. Bolehla cuba join Tekan-tekan. Mana tahu menang.